Plot - A girl and her gay best friend make a list about guys both would avoid getting into relationships. However, both of them falls for the same guy. Naomi and Ely are best friends and have been living in same apartment for years. Ely is gay but Naomi secretly loves him and refuses to accept his sexuality. She and Ely fall for the same guy (Naomi’s boyfriend) which becomes the reason that drifts them apart. Naomi eventually finds love in another guy while Ely pursues his relationship further with the guy. She finally accepts Ely’s sexuality and they both reconcile. 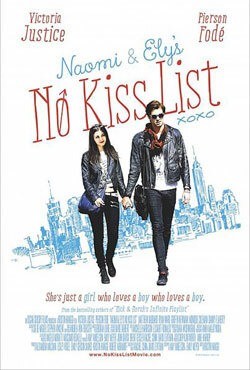 Box Office Earning of "Naomi and Ely’s No Kiss List"